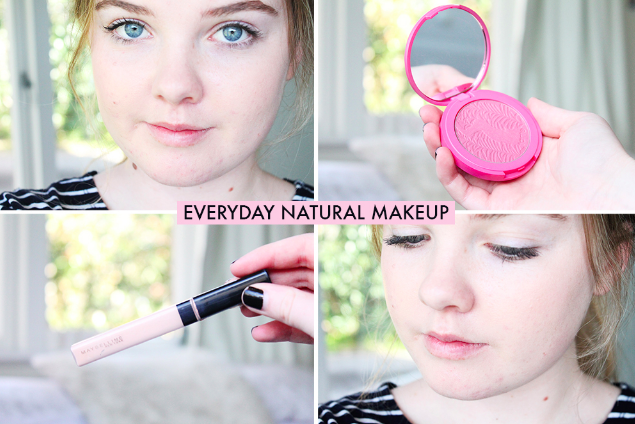 My Everyday Natural Makeup | emma etc. I don't tend to do anything too fancy when it comes to makeup, mostly because I'm not too bothered and I'm a poor student most of the time. 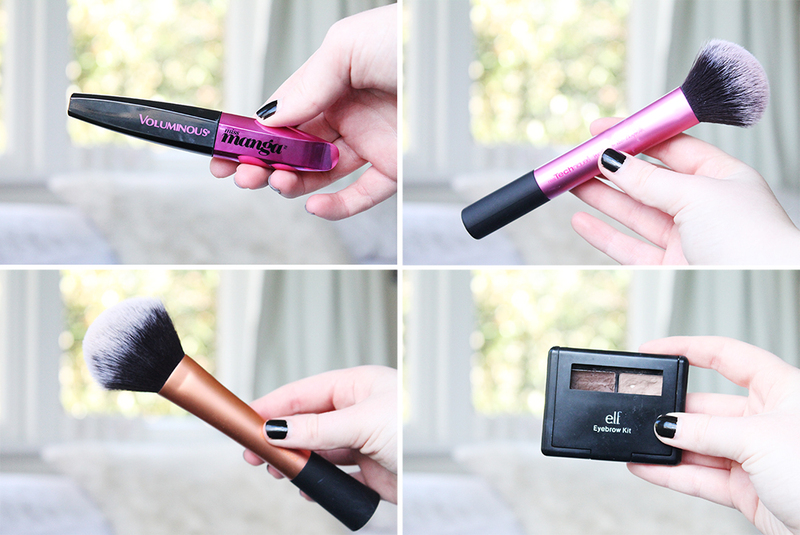 Today I thought I'd share what makeup products I use and what I do in terms of my makeup most days. Winged eyeliner is obviously missing from here, but that does make an appearance at least a few times a week and I've recently written a post on that. Something to be noted is that I don't have the best skin - it may look pretty good and relatively clear because well that's what my camera and good window light makes it look like. However, I do have pretty crap skin these days - break outs left right and centre so obviously all I do is try to make that look better and give my skin a little more radiance. In terms of base, I like to use two concealers at the moment to either conceal spots or use as an under eye concealer. I used to use the Collection Lasting Perfection Concealer a little while back but eventually I thought it was too dry on my skin. I have bought it back though, because with sufficient moisturising, etc it does a good job at covering spots and being a really good colour for my skin. I am ridiculously pale if you haven't noticed, so this doesn't look one bit orange on me. The Maybelline Fit Me Concealer is my concealer of choice for under my eyes but I do use it all over my face sometimes. It's extremely glowy looking with medium coverage, so that's why I don't tend to use it on spots all of the time as it makes my face look really greasy by the end of the day (powder is the key, I guess). 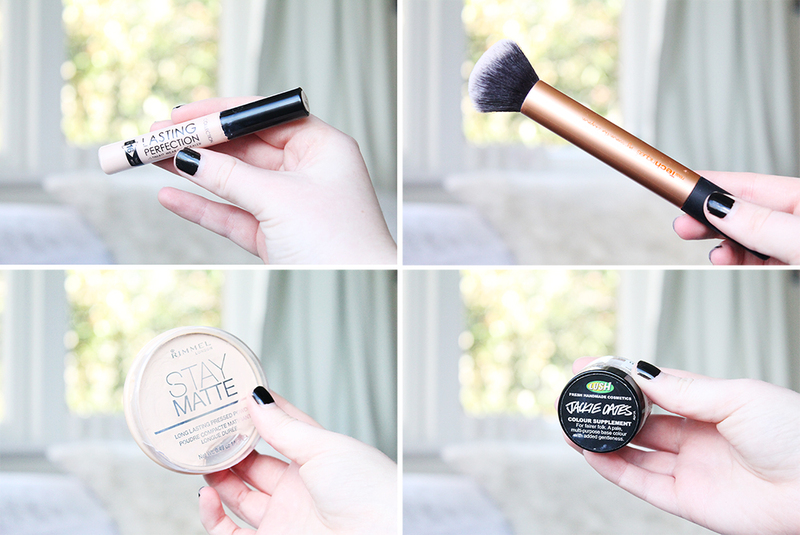 Speaking of that, my powder of choice is the very popular Rimmel Stay Matte. I use the Real Techniques Buffing Brush to blend my concealer and foundation if I use it. I tend not to wear foundation too much, but when I do it's probably one from Rimmel. If I don't wear foundation, sometimes under concealer I will put some of the Lush Jackie Oates Colour Supplement. This is wonderful stuff. It just gives my skin a really nice glow from underneath and it's weirdly not such a greasy glow. This is really good for pale skinned people as well. All of the brushes I use are Real Techniques (I also use the Blush brush and Powder brush) - it's pretty standard stuff. The mascara I tend to reach for these days is the Maybelline Miss Manga. It lengthens my lashes so well and makes them look fluttery. I can build up the volume but most of the time I'm not too fussed on mascara as long as it separates and blackens my lashes. I'm also not one of those people who like to add coat after coat. I feel so much better after I've filled in my eyebrows a little. The elf Eyebrow Kit isn't life changing (mine is in Light Brown by the way), but it does the job for me at the moment and I tend to just apply it using the little plastic brush included. I only really use the wax side (left), but overall it gives my eyebrows a bit more colour and sets them down really well. Also, one of my absolute favourites is using a blush these days. I reach for the Tarte Amazonian Clay Blush in Blushing Bride. It gives such a subtle pretty look and I won't lie, the packaging is so nice and feels like really good quality. I guess you're wondering why I haven't mentioned a lip product and that's because I'm extremely lazy with my lips - you're lucky to find me putting on lip balm daily!